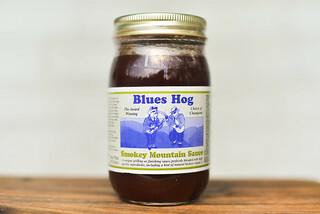 Out of the jar, this sauce has an overpowering intense burn, but after being cooked, it retains its heat, but comes into balance with the other barbecue components to create a profile that would please any heat seeking barbecue lover. George and Arthurine Renfro entered the packaged food business from their garage in Fort Worth, Texas back in 1940 with spice mixtures and pepper sauces. Over the next 20 years, the couple purchased other food producers, expanding both their market and their goods. A few years after getting into the salsa business with the purchase of Ole Foods, George passed away and his wife and sons, Bill and Jack, oversaw the boom of Mrs. Renfo's salsa that has made it a common household name today. The company is still family owned and run and now boasts cheese sauces, relishes, pickled peppers, and barbecue sauces on top of their line-up of award winning salsas. There is no doubt this sauce is packing a punch, the aroma alone creates a distinctive tingle and burn in the nose upon the first whiff. Melding with the upfront heat is a tangy tomato with just enough sweetness to create a ketchup-like smell. In the background lingers a bit of sharp garlic and onion along with a mellow Worcestershire complexity. This rusty reddish-orange sauce has a glossy sheen and semi-transparent opacity. This makes it easy to see the tons of spices peppered throughout that come in white, black, and red. 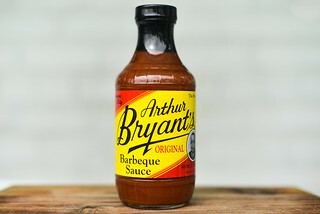 The sauce has a consistancy that straddles the medium line and falls in a quick, steady pour off of a suspended spoon. As the sauce stream ebbs, the few final drips release slowly, and then a thin coating of sauce is left clinging to the silverware. 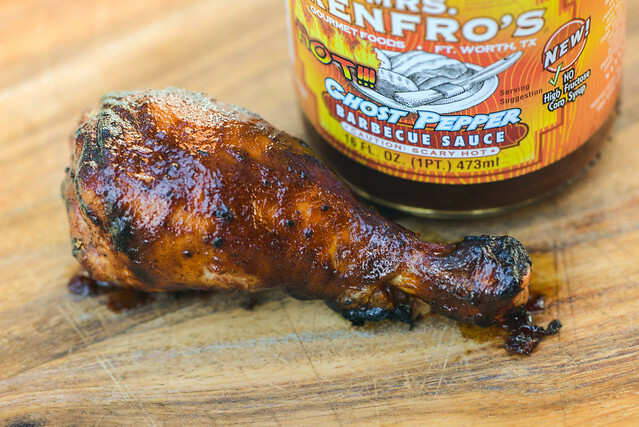 An average mellow barbecue flavor starts this sauce off. There's an upfront sweetness that mixes with tomato to form a ketchup-y flavor. As the sauce settles on the tongue, a mild tang and slight taste of Worcestershire come in. Then an earthy spice starts to take hold and there's a fleeting garlic and onion flavor right before all hell breaks loose. The burn of the pepper intensifies quickly and doesn't seem to stop. First the tongue and roof of the mouth turn fiery, then the lips, and finally you can feel the burn as the sauce travels south to the stomach. At this point, my body reacted with some intense hiccups, the type that only the spiciest of sauces elicit. While the pepper is certainly the dominant ingredient as this point, a continued mellow sweetness and tang linger, which continue to add a barbecue profile to the aftertaste. The sauce coated the chicken in a thin, even, and pale layer that only gained color after a few brushings. The sauce baked down into a dry, spice-like coating that developed minimal caramelization over direct a heat. A last brushing gave the leg its final saucy look. Cooking the sauce tamed the heat, which was still prominent enough to leave a burn on the tongue and lips, but allowed other flavors to come through more. This left the overall profile a little sweeter and bit more complex, with tastes of earthy pepper, garlic, and a mellow smoke having more of a presence than out of the jar. 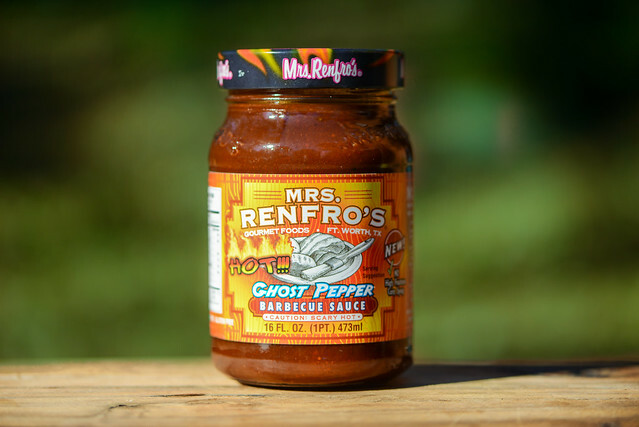 Readers of my reviews know I love a good spicy sauce, but Mrs. Renfro's may be pushing my limit. I am a heartburn sufferer, but spicy foods rarely cause me any trouble. Mrs. Renfro's Ghost Pepper Barbecue Sauce, on the other hand, left a lingering burn in my chest, along with my lips and tongue. This is all well and good, but in its raw state, it masks the pretty good barbecue sauce balance of tomato, sugar, and vinegar, which all tasted like they were a step up in quality over the standard supermarket sauce. 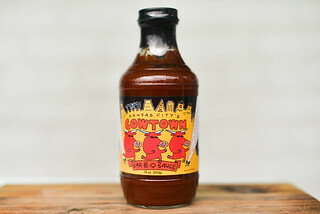 Once cooked, the play between the heat and other ingredients was better, and some ingredients that were masked by the ghost pepper previously were able to make themselves known. 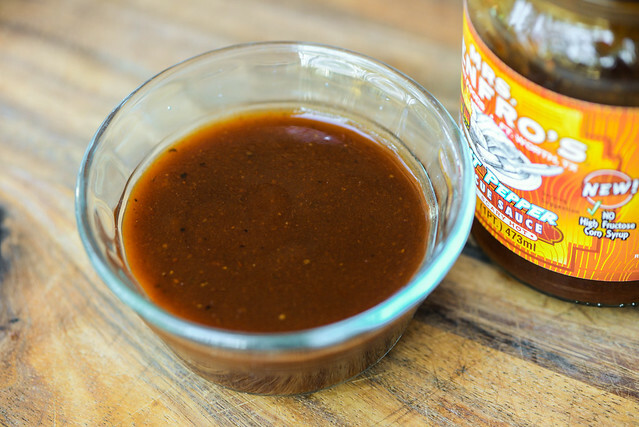 It's because of this that I'd recommend this sauce for grilling by heat seekers—it has the power to impart immense flavor on any range of meats from chicken to ribs to beef. If you're one of the few who can handle the intense burn of ghost peppers with pleasure, go ahead and use this out the jar too, just be prepared for that crazy burn to overtake just about anything coated in the sauce. Well for me this bbq sauce was okay. It does have good flavor however the heat wasn't enough for me. I had to doctor it up with my homemade pure habenero powder. I warmed it up in a small sauce pot to intensify the added habanero powder and after 5 minutes of a nice warning.... The sauce is the boss of volcano mountain!! I normally make my own bbq sauces but when I saw this at the store I decided to try it. Only thing about hot bbq sauces and hot sauces is they have way too much sodium. My homemade stuff is very low in sodium. Anyway for those who like some spice I'm sure its okay but for me.. I need stuff that makes me tear up and sweat. 3. the rich color that you could taste through the jar. When I got home and tasted the sauce I was hooked! I went back to buy the rest of the jars that were 1/2 price but they were all gone! I really love this sauce! A must have in my pantry and in the refrigerator at All Times! For me, no meal is complete without a little Mrs. Renfro's on it!! I had to get naked. Had to.